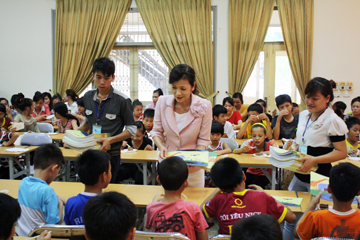 Donated the books to the children in orphanages. 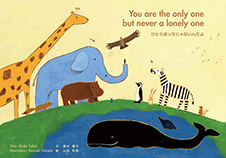 The Vietnamese version “You are the only one, but never a lonely one” were donated to all public elementary schools, orphanages, and libraries in Hanoi and Ho Chi Minh City as a commemorative project “Japan-Vietnam Friendship Year” with support by Hitachi, Ltd. 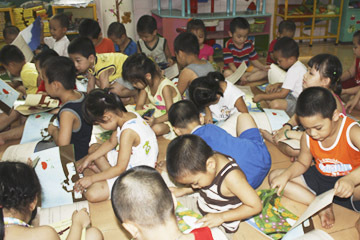 When we visited Hanoi, the elementary schools there were on summer vacation. 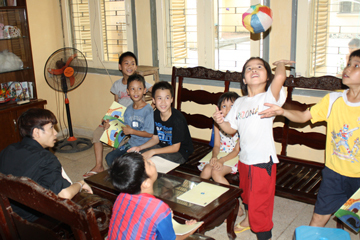 So, we handed our picture books to the children in orphanages, and played with origami, soap bubbles with them, and had a good time together. 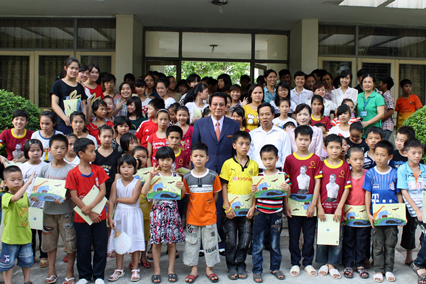 Visited a school for the blind and a orphanage with Mr. Ryotaro Sugi. 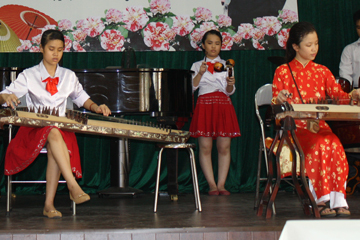 On 19th June, we visited “Lang Tre Em Birla (Birla Children’s Village) ” and “Truong Thcs Nguyen Dinh Chieu” that has been supported by Mr. Ryotaro Sugi for many years, and we were greeted with singing a song, dancing and musical performances by children. 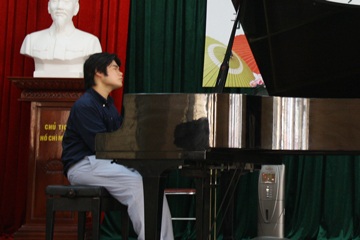 In Truong Thcs Nguyen Dinh Chieu, Mr. Nobuyuki Tsujii played the piano wonderfully in acknowledgment of the musical performances by children, and it has become an impressed place of cultural exchange for Vietnamese and Japanese children. 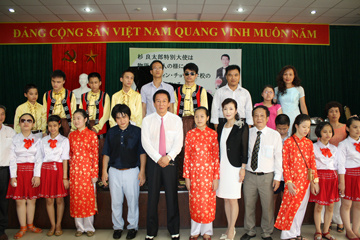 With Mr.Sugi and Mr.Tsujii at Truong Thcs Nguyen Dinh Chieu. At Lang Tre Em Birla (Birla Children’s Village). 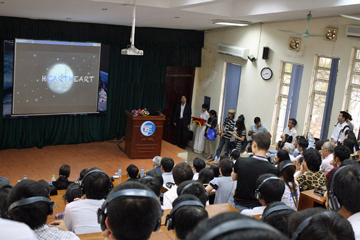 Our video works were screened at National Technology University in Hanoi. We have produced the video works to convey the spirit of “HEARTHEART”.With the theme “Over the border and across the race, linking the heart and the heart, and supporting each other, is important”, We have created the original story. Based on this story, in addition to the music, hand-drawn illustrations and the narration cooperated by Mr. Hitoshi Kusano, it was created as a heart warming production for about 5 minutes. 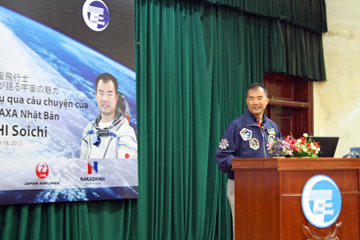 And on 18th June 2013, as an introduction of the lecture by JAXA Astronaut Mr. Soichi Noguchi was held at National Technology University in Hanoi, this video works was shown. JAXA Astronaut Mr. Soichi Noguchi.